← Will You Mari-achi Me? 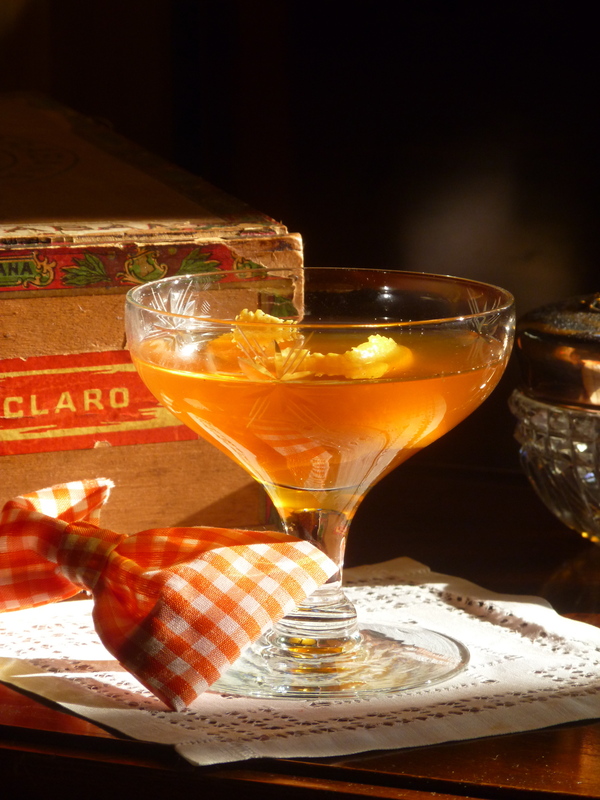 The inspiration for this cocktail came from making flan one night with my mom. I like the sensation in my mouth when tasting flan that is made with rich caramel topping on silky custard paired with one of one of my favorite tequilas or whiskeys. I am always exploring new flavor combinations for cocktails. This time I took the flan caramel topping and added a pinch of tarragon to make a syrup. If mother nature could take the most divine notes of licorice, fennel, anise soften them into a sweet flavor, tarragon would emerge. ‘Southern Dignity’ holds true with burnt toffee notes and a suggestion of tarragon that pairs well with captivating rye, orange, and whiskey cask-aged sparkling cider which seems to ‘dance on your tongue.’ Cheers! Combine everything in a beaker with ice. Stir well. Fine strain into a chilled coupe glass. Garnish with a flamed orange peel. Add all ingredients into a small sauce pan. Let simmer about ten minutes stirring consistently until liquid is golden brown. Let cool. Fine strain into an airtight container.